The former Main Street, now given over to honor Malcolm X's childhood in the Lansing area. Malcolm X street, formally named Main Street in Lansing, Michigan happens to be one of the memorial sites of the iconic Malcolm X. Malcolm X, born Malcolm Little, was an American Muslim Minister and a human rights activist. Malcolm was known nationally as a black nationalist with plans of change for African Americans. Malcolm was assassinated in 1965 by members of the Nation of Islam (NOI) of which he was once a prominent member (Malcolm X, Autobiography). The city of Lansing, Michigan is significant to the life of Malcolm X.
Malcolm was assassinated in 1965. In 2010, forty-five years later, there was an application submitted to the Lansing City Council by Ammahad Shekarraki. The application was to change the Lansing Street of Main to Malcolm X St. The memorial to name a Lansing street after Malcolm was a great gesture but why did it take forty-five years after he was assassinated? Lansing Michigan is a place Malcolm once called home. The Lansing City Council was said to make a decision on the motion after a series of public hearings. The first question opposed for the City Council was of the appropriateness to name a street after someone who was seen as segregationist and race prejudice and a person who once referred to leader Martin Luther King Jr. as “chump”. 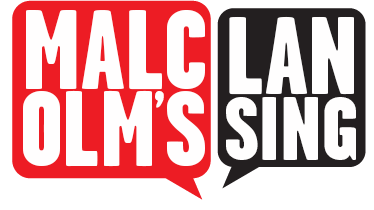 Malcolm X’s philosophy causes tension among the race problem in America. 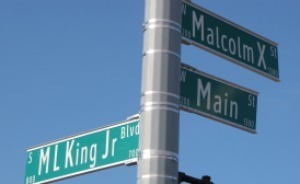 Therefore, renaming the main street as Malcolm X street caused controversy (Lansing City Pulse: Malcolm X St?). Ammahad Shekarraki argued whether we “like” Malcolm or not he still should get recognition (Lansing City Pulse: Malcolm X St?). In 2011, three-mile-long Main Street became Malcolm X street (Malcolm X Street). Malcolm X street is located on the eastside Lansing, Michigan. There are two other memorial sites of Malcom X in Lansing. The El Shabazz Academy and the historical marker at his old residence. Demarius Similton, “Malcolm X Street,” Malcolm X in Lansing, accessed April 19, 2019, http://projects.leadr.msu.edu/malcolmxinlansing/items/show/22.